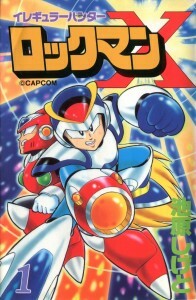 When most fans think of Rockman X manga, they think of Yoshihiro Iwamoto. 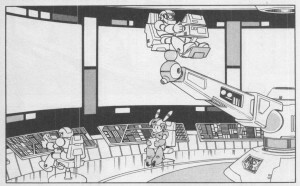 And quite rightfully so, as his work is iconic and the way it established a clear separation of tone between the original Rockman and Rockman X was mind-blowing at the time. I want to write about those mangas in-depth someday, but today is not that day. 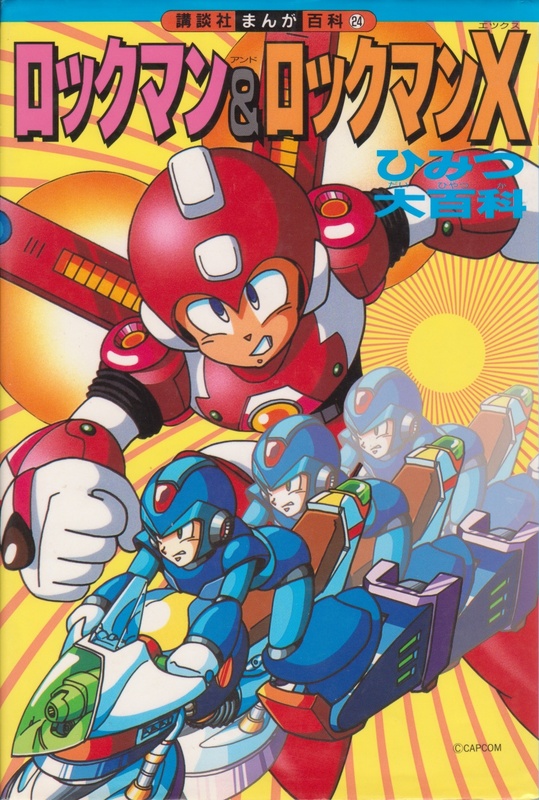 Japanese cover for Iregular Hunter Rockman X volume 1 (1995). No, today I’m writing about another. 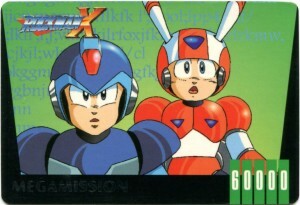 Shigeto Ikehara, while more famous for his classic Rockman series manga, also dipped his ink pen into the world of Rockman X on several occasions. 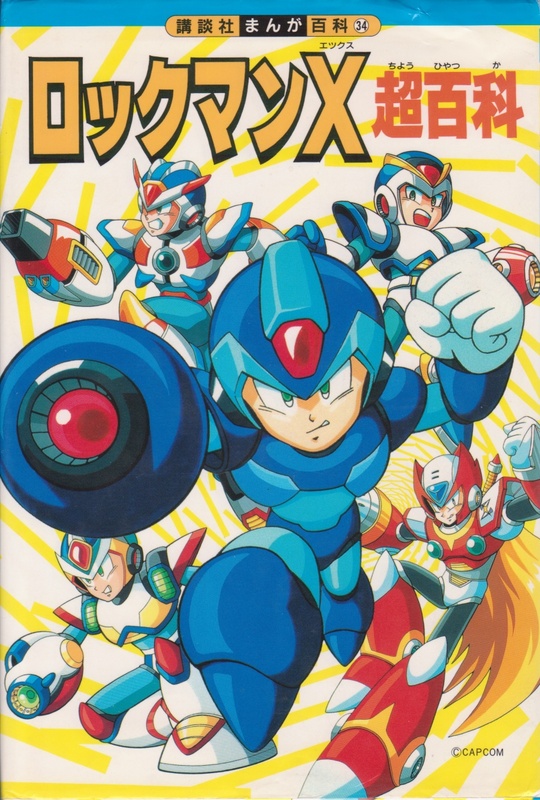 The most significant of these is 1994’s Deluxe Bon Bon serial Irregular Hunter Rockman X, a two-volume original story exploring X’s early career as a Hunter and the time leading up to Sigma’s first rebellion. It deals with a lot of the given pasts and inter-relationships of the bosses described in the back story and character biographies of X1. 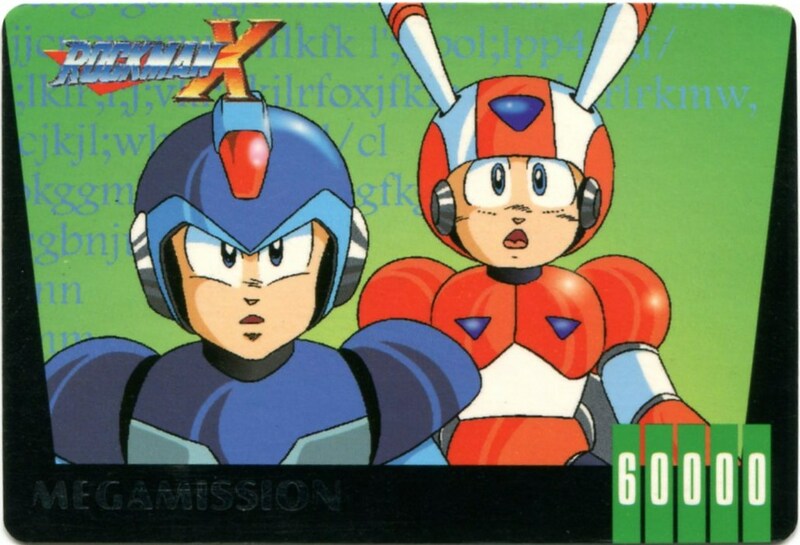 Beginning with X out on a rookie mission with his experienced partner Zero and ending up on X1’s familiar opening highway, the story almost serves as a prequel–if not for the fact that X has already acquired the armor parts and most of the boss’ weapons by then. The story ends somewhat abruptly because it was originally planned to be a three volume work but Ike had to cut it short when Bon Bon DX unexpectedly got the axe. Even without its intended endgame, the manga managed to be successful and influential. Those who have played the PSP game Maverick Hunter X may note several familiar scenes and concepts throughout the books, and indeed they may have taken some of this manga’s ideas as inspirations. One can hardly talk about IHRX without mentioning two of its most notable original characters. The friendly Hunter operator A-1 who always has X’s back, and the ferocious Ligeon β who serves as X’s first true test as a Hunter. 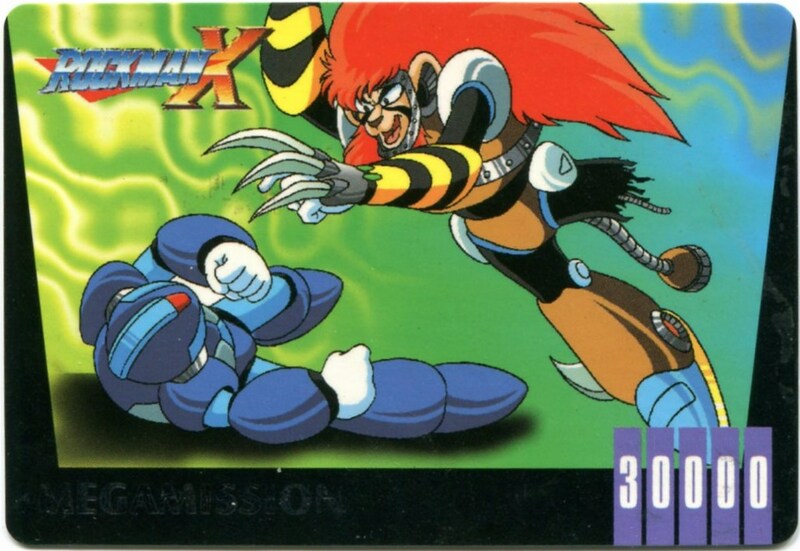 Both of these memorable characters helped to expand the world of Rockman X beyond the scope we saw in the game itself. A-1 is the name of a computer specialist, robot mechanic, information gatherer and data-cruncher for the Irregular Hunters. Although the idea of the Hunter organization having navigators and mechanics was around since the conception of the series according to Inafune, no such character except for Dr. Cain actually appeared in any of the first three X titles, and even he didn’t actually make a physical appearance until X2. That means this happy little orange bunny-man was truly the first Irregular Hunter operator to be portrayed in any published media. A-1 is a friendly, gentle character who believes wholeheartedly in the mission of the Hunters as protectors and peace-keepers. He doesn’t always agree with the high-class hunters’ haughty behavior and crass attitudes towards unnecessary violence, and so he immediately took a sympathetic view towards X’s soft and compassionate demeanor. 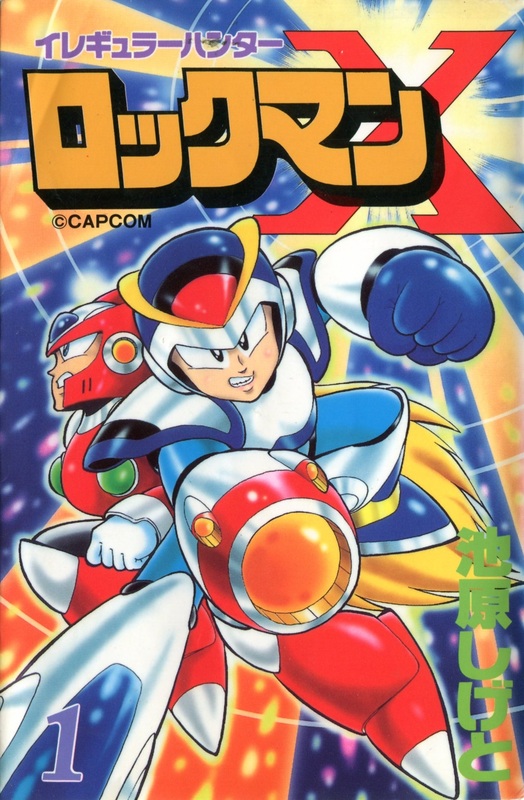 In this manga A-1 is one of X’s few friends within the organization next to Zero, and he takes a special interest in helping X to adjust to his new-found Hunter duties and get our blue hero promoted above his initial B-rank status. 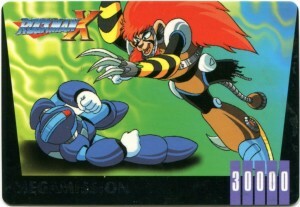 He is often conflated with Rockman X Cyber Mission/Mega Man Xtreme character Middy for his similar computer savvy and generalized young male reploid body type, but their blueprints actually differ quite a bit. Like the rabbit concept he’s based on, A-1’s body is designed to be small but speedy with wheels on the front of his feet and an aerodynamic helmet modeled after whose worn by speed skaters. His rabbit-ear antenna protruding from the top of his head may have provided inspiration for the creation of the nameless pink-haired navigator. A-1 accidentally discovers the dark secret of X’s internet browsing history. 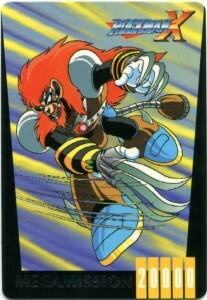 There’s no indication of his color scheme in the manga itself, but the Rockman X Chinese card series went with blue eyes and a bright orange and white body with black legs and accented with dark indigo gems. Since this is quite possibly the only officially licensed depiction of A-1 in color, and since it clearly differentiates him from other reploids in similar roles like Middy and Double while still maintaining the familiarity of design, I’m going with that as well. At times A-1 gives off a slight Marty Stu vibe, portrayed at varying points as more caring and thoughtful than X, wiser and smarter with technology than Dr. Cain, and even more selflessly noble than Zero. He even manages to steal the other characters’ thunder a few times (no spoilers just yet), however I feel these points are balanced out by the fact that A-1 is not without his own flaws and moments of doubt. He is also completely without any built-in form of weaponry and is purely contented to fill out a supporting role for the rest of the cast. 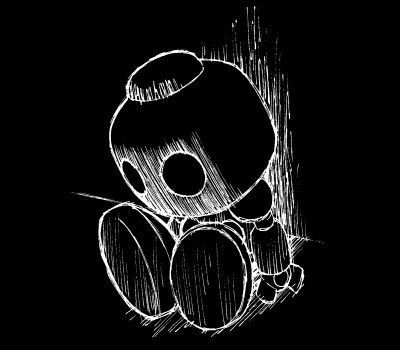 He’s a supporter through and through, just one small reploid doing what he can to help the world. Ligeon Beta – half lion, half tiger, all irregular. Ligeon β on the other hand is a true beast of a reploid with a wide built-in arsenal and absolutely no respect for the sanctity of life, human or robot alike. Ligeon is a liger-type reploid originally built to be the guardian of a wildlife park and nature preserve in Africa. Perhaps you’re thinking “Hold on, isn’t that just like the bio of Neon Tiger from X3?” That’s right, Capcom adopted the idea later on but Ikehara did it first. Ligeon is an impressive warrior, both extremely powerful and incredibly agile on two, three or four legs. His screeching claws can easily tear through walls and solid blocks of concrete. His tail is equipped with a flame thrower for a slightly more ranged attack, enabling him to strike in nearly all directions at once to simultaneously take down multiple opponents. He can emit a dense smokescreen from his mouth to stalk his prey in complete darkness, or to beat a hasty escape if cornered. He can also jump-kick up walls just as nimbly as X or Zero, or Sigma, or Vile, or Flame Stag, or Axl, or Alia… Okay a lot of characters do this now but it was a much bigger deal to be able to use this skill effectively back then. His strength is on par with that of the Hunter elite. Along with that swift physical prowess and animal cruelty, Ligeon is also highly intelligent and extremely cunning. Ever one to pick his battles carefully, he is keen on weighing the odds towards his own survival. He generally prefers an unfair advantage, and would much rather prey upon those weaker than himself. He definitely isn’t above a strategic cut-and-run, but he’s not one to give up easily either if his life is on the line. He doesn’t shy away from playing mind games either. When being chased by the Hunters, he cleverly leads X into trap after trap, nearly taking his life several times. Ligeon is quickly able to size up X’s weaknesses as an inexperienced rookie and play X’s tendency towards mercy to his own advantage. Don’t shoot his leg off, you’ll only make him mad. Even after getting his leg blown off by the X-buster, Ligeon is still a force to be reckoned with. He is also quite capable of performing his own repairs, so no matter how damaged he is when he retreats, he’s bound to come back as strong as ever. A beast through and through, Ligeon is X’s first run-in with a truly dangerous maverick, and it’s an experience he almost doesn’t live to talk about. Ligeon represents something that we rarely get to see in the games. He is the series’ example of a truly dangerous maverick who has no affiliation with the Hunters or Sigma’s rebellion. Instead he is a true wild card: a powerful monster of a reploid who feels his strength entitles him to do whatever he pleases, which often includes preying upon anything weaker than himself for sport. He is the kind of threat that shows exactly what the Hunters are up against and why they need to possess the kind of power they do. It helps explain why so many of the higher class Hunters are so hardened about violence and don’t suffer the company of their low-ranking comrades very well–they are fighting a very real war where sometimes only the strongest and most skilled make it back in one piece. Rookie mistakes can cost Hunters their lives and the longer a maverick is on loose, the more casualties pile up among their fellows and the civilians they are sworn to protect. It almost makes the direct violent approach of Hunters like Vile seem justified. X’s failures highlight how dangerous it is for a Hunter to try and be merciful or to hesitate when the time calls for decisive action. It illustrates the hard choices, steep learning curves and moral greys that X must try to navigate on his path to justice. You can probably expect more Irregular Hunter X in future posts… Whenever that might be. 5 Comments to "A Most Irregular Manga"
I had been working on this last weekend and been planning to finish it to go up Wednesday morning, but then the news about Archie’s Mega Man comic being on indefinite hiatus broke Tuesday and I didn’t feel like posting about comics after that. Now it’s Friday, and I feel a little better about things (plus I didn’t have anything else ready) so let’s do this. This manga had a sequel? I mean, the finale is a cliffhanger and is hilarious, Sigma and Vile taken by a Sky Claw, LOL. Awesome! I own this manga, but had no idea the lion fellow is actually a liger. I always thought the X series could use a liger Maverick. Hm, Ikehara did several? I’ve got the two parts of this one, and there was a brief X3 thing in one of the art books, but were there more than that? Always thought it funny how the Hunter organization in these took their symbol from whoever happened to have one at the time; in this, it was Sigma, which makes sense, seeing as he’s the leader. Then in X3 it’s Zero’s, because… why not? Fun thing: I made my own character for a Maverick Hunter RPG based on the Middy/Techno/A-1 template. Fumbled the name a bit, though if Inafune and Co. can use Friender so openly for robot dogs, maybe I shouldn’t worry. Ike did an X2 short in this book, the X3 one you mentioned in that book, and additional promotional stuff in Bom Bom that hasn’t been reprinted anywhere (and perhaps even more that I’m not even currently aware of)!